Pastor Shelly loves ministry to God's people in the church. One of her favorite verses in Scripture is from Psalm 122, “I was glad when they said to me, ‘Let us go to the house of the Lord.’” Throughout her life, the church has been the place where Pastor Shelly’s faith has grown and been nurtured. She is committed to leading and serving God’s people in and through the church so the church is a joyful, welcoming, vibrant community where all grow and deepen their life with Christ. Pastor Shelly and her family moved to Glen Ellyn from Florida where they had lived for twelve years, but cold is not new to her. She is originally from North Dakota where she graduated from the University of North Dakota in Grand Forks, ND with a Bachelor of Science. She then earned her Master of Divinity from Princeton Theological Seminary in Princeton, NJ, and a Master in Sacred Theology from the Lutheran Theological Seminary in Philadelphia. She and her husband Kent Annan have two children Simone and Cormac. Read more about Pastor Shelly and her family in this Daily Herald article about her installation! 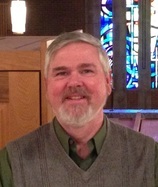 ​From Joe: It is an absolute blessing and joy to be called to Faith to serve as Associate Pastor! ​Joe was born in and grew up in Richmond, VA, and then migrated south to attend college at Wake Forest University in the beautiful city of Winston-Salem, NC. 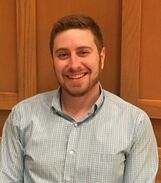 A psychology major, Joe worked in a Christian counseling office before feeling called to seminary at the Lutheran School of Theology at Chicago. ​After meeting his future wife Christine in seminary, they married in June of 2015, and then Joe started his internship year at Faith. After a time of discernment, Joe is thrilled to return to Faith in the role of Associate Pastor. ​While Joe is passionate about all aspects of ministry, he finds the most joy in working with youth and doing pastoral care visits. Building relationship and trust is the key to a successful ministry, and form the basis of Joe's ideology of pastoral ministry. These principles also help Joe train Luna his lab-shepherd puppy mix! Todd leads the people's song at Faith. He encourages people of all ages to share their God-given time and talents, either vocally or instrumentally, in praise of their maker and redeemer. Through music, God is praised and God's people are lifted up to lives of devotion, dedication and service. Todd grew up in St-Louis and graduated from Valparaiso University with a Bachelor of Music degree in Organ Performance. In 1983 he received a Master's degree in Choral Music from the University of Illinois at Champaign. 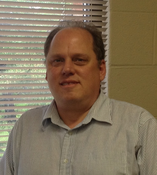 Todd has served in parishes in Champaign, Illinois; Mason City, Iowa; and Toledo, Ohio. In 2000 he performed in Hungary, playing organ concerts at the St. Anna Church in Budapest and at the Votive Cathedral in Szeged. Since 2005, Todd has been the accompanist and assistant conductor for the Lutheran Youth Choir International. Todd and his wife Cynthia have two children, Jonathan and Melissa. Eileen is the director of our preschool, Rainbow Place. She began teaching here in 1992. 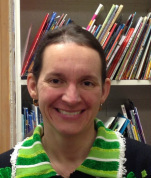 She stays involved teaching within the program and has served as the preschool director since 1995. She graduated from Drake University in Des Moines, Iowa, earning a Bachelor's Degree in Psychology and Business. She pursued her Master's studies at National Louis University focusing on children's literature and it's use in preschool curriculum. She enjoys sharing her passion of books and storytelling with the children. Eileen and her husband Rick both grew up in Glen Ellyn. They have a daughter, Anna. Visit their website on the right to learn more about Rainbow Place Preschool. ﻿Eric creates the bulletins and newsletters at Faith and coordinates the many ministries making use of our fantastic facility. He also ensures that office systems and processes are running smoothly. He has been active in business and chambers of commerce and as a volunteer in churches for many years. He has organized various mission trips for youth and adults, including interfaith teams. 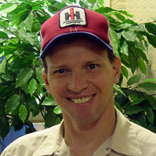 Eric has many loves which enhance his work such as photography and writing mission blogs and a heart for mission. He also enjoys cycling, sailing, skiing, kayaking, cooking and reading. Eric lives in Des Plaines with his wife, Linda. 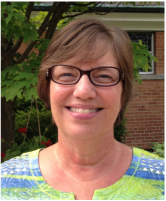 Sally enjoys spending time with family, sailing, traveling, taking photos and making scrapbooks. Sally and her husband Mark have two married children and three grandchildren: Andrew, Jennifer & Hunter and Becca, Grant, Nora, & Zoey. Rich has been a custodian at Faith since 1990. He is responsible for the care and cleaning of the building and grounds. Rich enjoys learning about trains, doing puzzles, and spending time outdoors. Rich and his wife Kathy have two children, Ryan and Ashley.